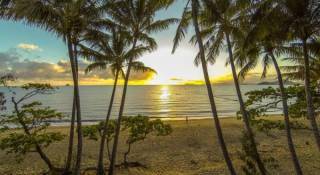 Beachfront holiday accommodation in the heart of Palm Cove with stunning views over the award winning beach and Coral Sea to Double Island. 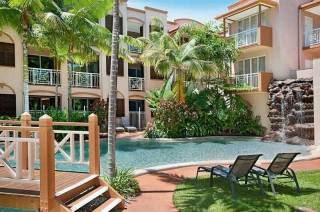 Just a few steps from the sand and the inviting warm tropical sea. 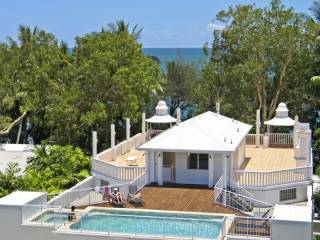 Each of these beachfront apartments has a private balcony with stunning views over the pool, the beach and the Coral Sea. Stroll the waters edge of the palm fringed beach or relax in the sun on your private balcony while enjoying the peaceful sounds of the sea. 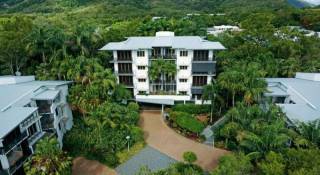 These comfortable and affordable holiday apartments are perfectly located to enjoy a relaxing tropical holiday and to explore the natural wonders of the Great Barrier Reef and Rainforest. Available for either short or long term stays. 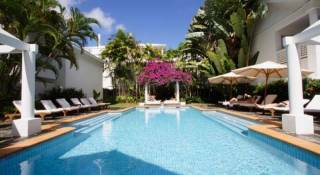 Facilities include an outdoor saltwater swimming pool with spa pool and a pool-side BBQ area. Free secure undercover parking is provided. 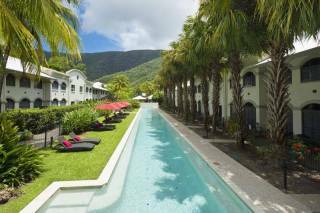 The tour desk can arrange tours to the Great Barrier Reef. On-site managers 8am-6pm please advise if your arrival outside these hours and after hours access will be provided. The apartments accommodate 2 guests and each has one bedroom with a Queen Bed.